Everything in advertising is chosen very, very carefully but the messenger’s true intentions leak out over time. 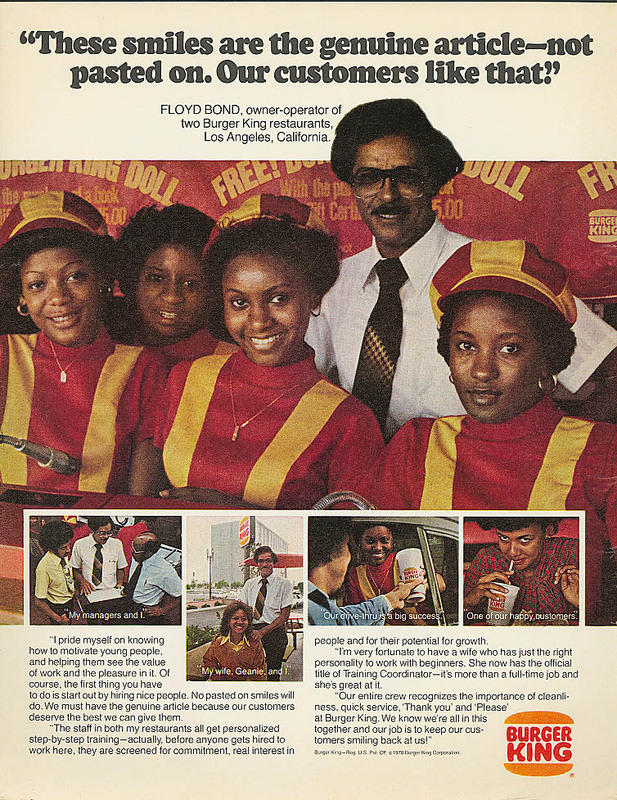 I wonder where Floyd Bond is now? I wonder if he still has his 2 stores? His marriage to Geanie? What happens when the ad makers take over all the popular myths and poetry? If I told you this full page ad was placed in Ebony magazine, would that surprise you? This entry was posted on Wednesday, February 9th, 2011 at 5:00 am and is filed under Advertising/Franchising science. You can follow any responses to this entry through the RSS 2.0 feed. You can leave a response, or trackback from your own site.